Western Red Cedar Swivel Bar Stools are the perfect fit for the Gronomics High Top Table. These superior built quality stools are designed to last a lifetime. Add two or four bar stools to complete a set. Bring modern sophistication to your home with the Avenue Six Austin 30" bar stool. Designed to withstand the demands of the busy family kitchen, while still adding a touch of class. Beautiful nail head trim outlines the easy care, polyester fabric and a metal protector rail lines the foot rest top for added durability. The Avondale Barstool offers the quality of finely crafted furniture at an exceptional price. The elegantly designed frame is handcrafted from solid hardwoods featuring extra wide seat cushions upholstered in a beautiful Black faux leatherette material. High quality components combine to create a timeless barstool design, built for comfort and strength. The Avondales classic design lines easily blend in with a variety of different indoor settings. 180-day limited warranty. Add sturdy and stylish seating to your bar or high top table with the Kennedy Backless Bar Stool. 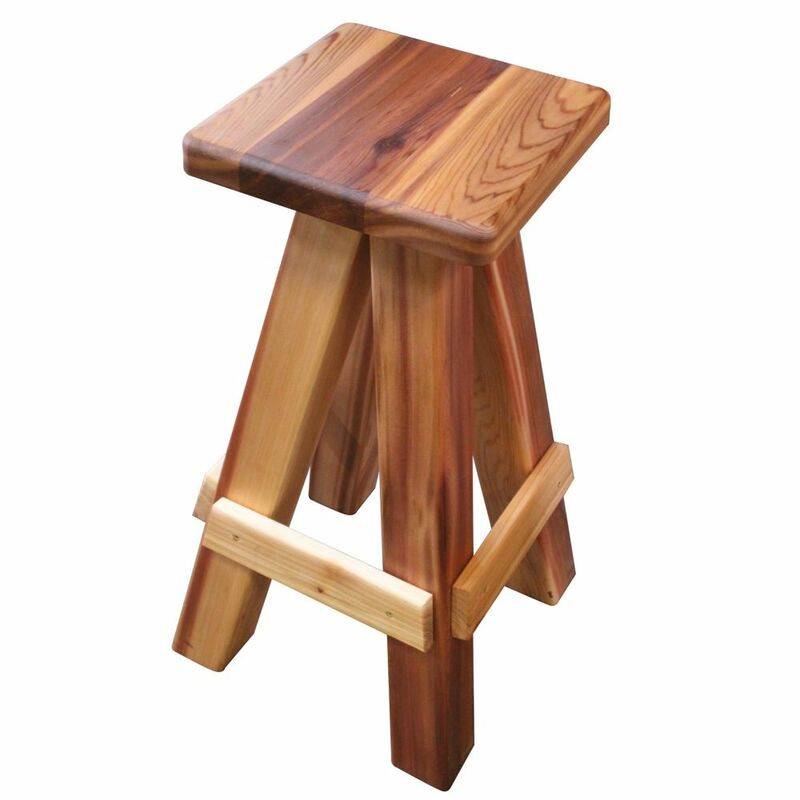 Crafted from wood, the stool features splayed legs accented by decorative wood trim. Finished in walnut, the seat is plushly upholstered in a brown tweed fabric. Brushed bronze nailhead trim completes the look. 30" Seat Height. 275 pound weight limit. Chic and stylish, this Fabric Top Stool is perfect for adding seating to any high top table or bar space. The dark walnut finish is accented by the beige linen upholstered seat. Decorative bronze nail heads finish the stool adding interest to the piece. Sturdy and durable. 31" Seat Height. 275 pound weight limit. 17-inch x 17-inch x 31-inch Patio Swivel Bar Stool in Western Red Cedar Western Red Cedar Swivel Bar Stools are the perfect fit for the Gronomics High Top Table. These superior built quality stools are designed to last a lifetime. Add two or four bar stools to complete a set.